Archie Royal Davis (1907-1980) was born in Morehead City, North Carolina, and attended Morehead City Schools until 1926. He earned an architecture degree in 1930 from North Carolina State College and an engineering degree from the University of North Carolina in 1934. In 1936, Davis married Frances Carlton. The couple had two daughters, Frances and Charlotte. Three years later, Davis established his own architectural firm in Durham, North Carolina. His projects and designs included private residences, businesses, and churches throughout Durham, Orange, Wake, and Carteret counties in North Carolina. 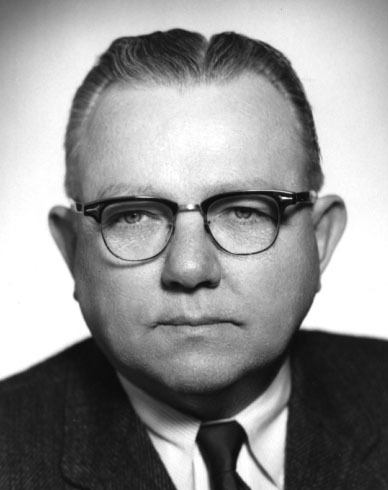 Beginning in 1948, Davis also served for many years as the Orange County School Architect. Davis joined the American Institute of Architects in 1944. He later served as secretary and treasurer of the North Carolina Chapter of the organization and as president of the local society. Davis also served on the North Carolina Board of Architecture from the mid-1960s until 1979. He served as executive director of the Southern Conference of the National Council of Architectural Registration Boards and was an active member of the National Society of Professional Engineers, the North Carolina Society of Engineers, the Durham Council of Architects, and the Durham Engineers Club. Davis served on the Durham Planning and Zoning Commission and Durham County Stadium Authority, and was a member of the Durham Chamber of Commerce, the Committee of 100 of Durham, the Allied Arts of Durham, the Parents and Teachers Association, and The Greater Morehead City Chamber of Commerce. He was affiliated with the Trinity Methodist Church as well as a variety of social organizations and fraternal orders, professional and educational foundations, and the Occoneechee Council of the Boys Club of America. Archie Royal Davis died in October 1980. An extensive collection of papers from his architectural practice are housed at North Carolina State University.